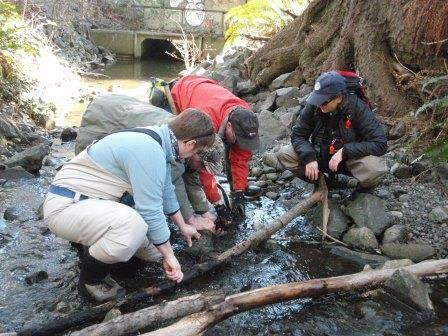 New Streamkeepers are ready to get out into the watercourses of Campbell River! We had a terrific weekend measuring a tributary of Willow Creek, listening to the stream babble and eagles tending a nearby nest. Participants learned about measuring and mapping streams, testing water quality, and doing stream invertebrate surveys. If you are interested in working with these able volunteers, contact the Greenways Land Trust.